Extreame Savings Item! 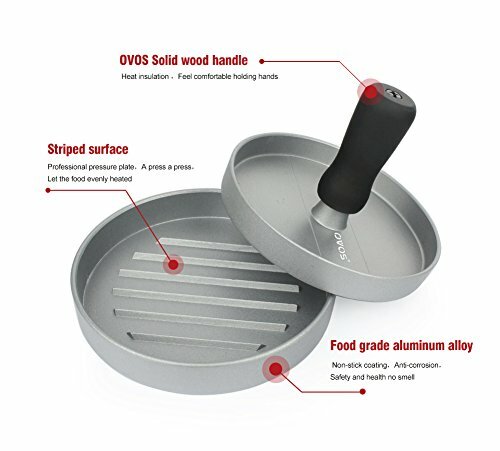 Save 48% on the OVOS Aluminum Non-Stick Hamburger Press 50 Free Patty Papers Wood Handle by OVOS at Baking Love. MPN: Burger-US. Hurry! Limited time offer. Offer valid only while supplies last. WHAT'S SPECIAL? BUY 1 GIVE 1 (BUY Burger Press GIVE 50 Burger Circular Papers ) Burger Circular Papers Won't stick to fresh foods or freeze to meat. Burger Circular Papers Won't stick to fresh foods or freeze to meat. Ideal for preparing burgers and filets for easy separation. Claim your throne as the burger press ! Hamburgers are the World's favorite food! The fast food empire has been built on delivering juicy, delicious burgers. 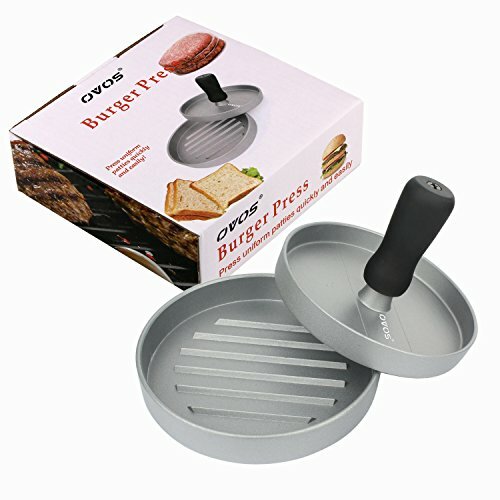 Now you can serve up happiness in your own home with the OVOS Burger Press. The OVOS Burger Press consistently forms perfect quarter pound patties that freeze beautifully and cook evenly for mouthwatering results. Free with your order, you will receive 50 burger circular papers to separate your pressed patties so you can freeze them for a future backyard barbecue. Burgers are on the menu for everyone, even if beef isn't 'what's for dinner'. 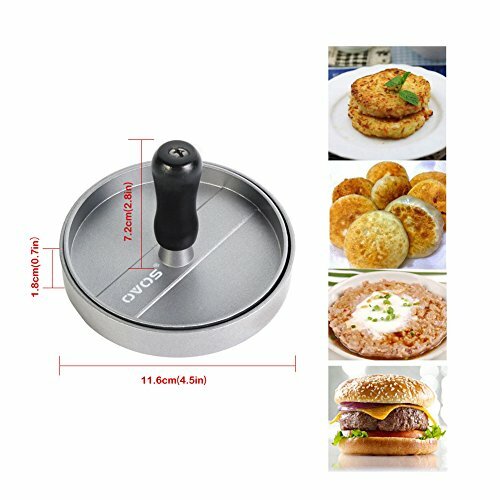 Ground chicken, turkey, salmon, tuna or even lentils and legumes can be combined with your favorite seasonings and molded into patties or cakes with your OVOS Burger Press. 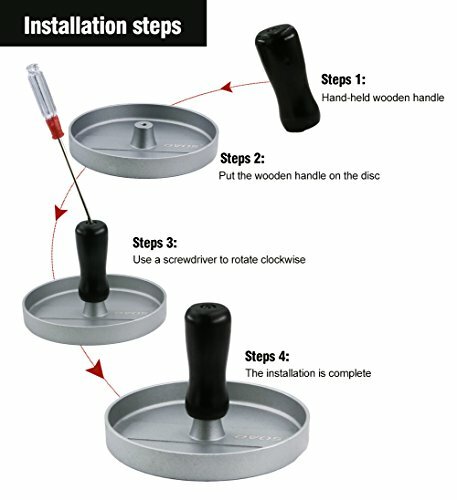 You are only limited by your imagination with the simple elegance of this exceptional kitchen tool. Trust a high quality product to deliver high quality results! 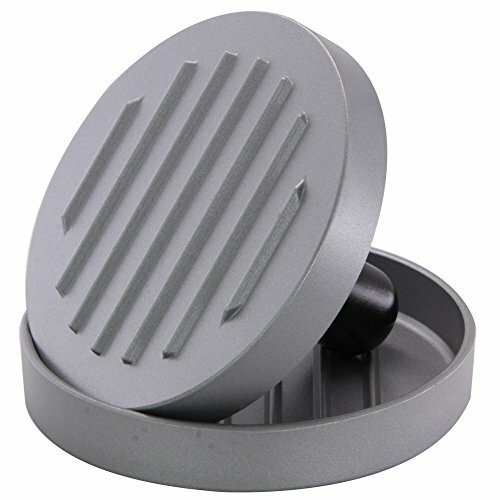 Made from heavy duty aluminum, the OVOS Burger Press features a non-stick coating for easy cleaning. The plate and the presser apply perfect "grill" marks to both sides of your burgers. Attractive in presentation, the depression lines on both sides aid in quick, even cooking for moist, scrumptious burgers every time. Topped with a high quality wooden handle proudly displaying, the entire press is dishwasher safe for your ease and convenience. 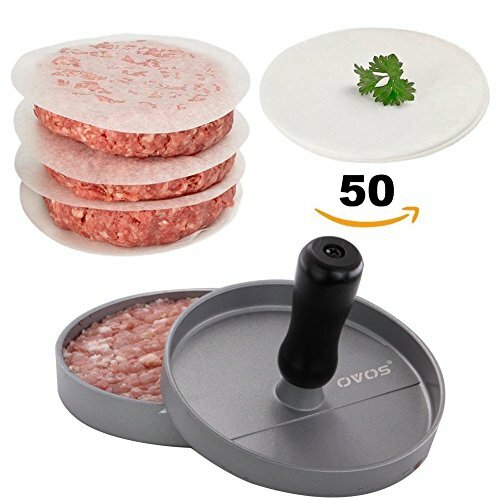 Make family meal time magic by adding the OVOS Burger Press to your cart today. 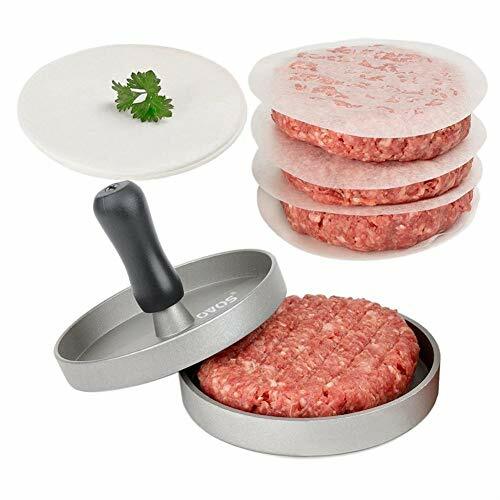 FREE PARCHMENT PAPER -- Gift Burger Circular Papers for non-stick easy separation of burger patties, set of 50 pieces-11.5 Inch diameter. 50 free parchment paper included, which makes releasing the burger from the press a breeze, also can be used for BBQ. If you have any questions about this product by OVOS, contact us by completing and submitting the form below. If you are looking for a specif part number, please include it with your message.